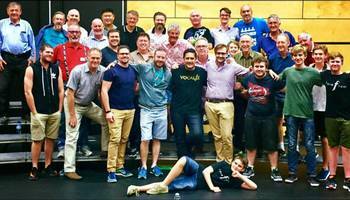 Sound Connection is a singing chorus of men of all ages, based on the Gold Coast, Queensland. We love creating a rich sound of amazing music with pure four-part harmony. Our overwhelming goal is to strive for excellence in everything we do. Want Sound Connection to sing at your next function? Why not hire Sound Connection to entertain at your next event? We can perform at corporate functions, charity events, community Entertainment events, birthday parties, christmas parties, awards nights, weddings, engagements, anniversaries, engagements, and even funerals and memorial services.